Planning to buy your next mattress? 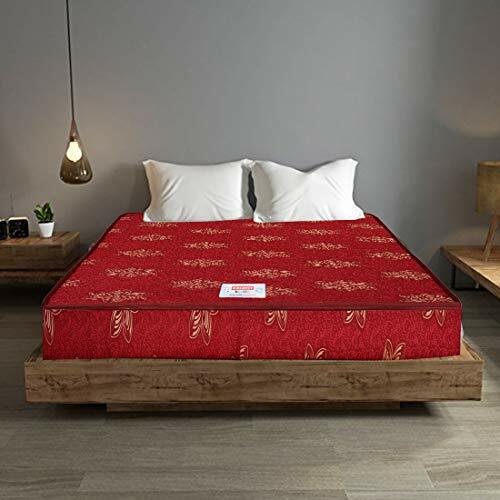 Read our expert reviews and comparisons of the best mattresses in India for 2019 before you purchase your next mattress. SleepyCat Plus: Is back pain giving you sleepless nights? By contouring the mattress to your body’s shape which, in turn, keeps the back and neck well aligned and providing the ideal firmness, the SleepyCat Plus is a no-brainer and worth every penny. Not to forget, with the smart zipper cover, maintaining it is hassle-free and its king-size means it can easily fit in 2 people. WakeFit Orthopaedic Mattress: Need a comfortable mattress on a budget? 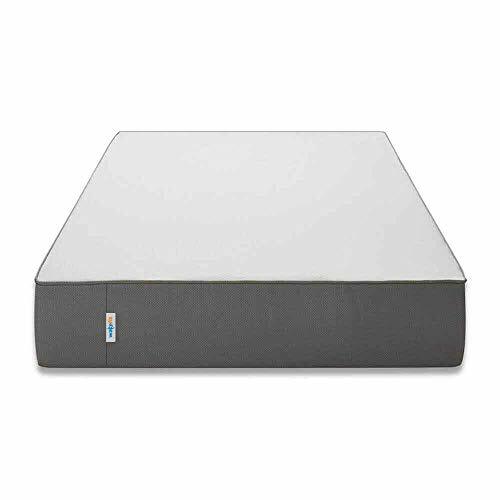 With its memory foam that offers medium-firmness ideal for both back and neck and cost-effectiveness, the WakeFit Mattress ensures a cozy and restful deep sleep all night long. Does your back-breaking work schedule have you dying for a restful deep sleep? Or is a niggling back pain that makes you want to change your old mattress? 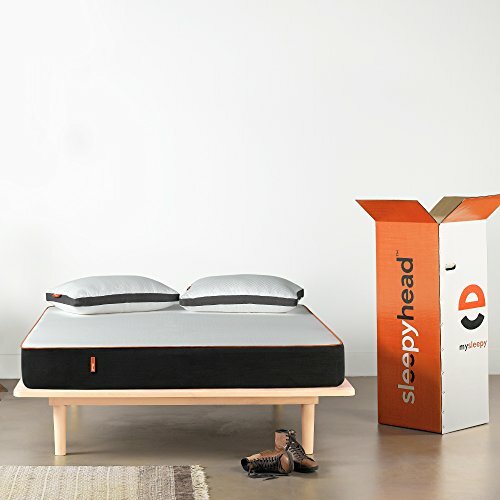 Irrespective, the SleepyCat Plus is just the mattress you need and here’s why. Nothing beats the comfort a memory foam mattress can offer. But why is that? For those who do not know, the specialty of a 2-inch Gel memory foam is that it contours to the body shape evenly distributing the body’s weight all around. This helps maintain the ideal posture, especially for side sleepers relieving you of back and neck pain. Also, in tandem with the 6-inch high-density base foam gives the bed a medium firmness ideal for backaches. But that’s not all the base foam does. Its primary role is to add a structure to the mattress which, in turn, increase strength and durability (will easily last you for 8-10 years). Oh, and does the constant twisting and turning of your partner disturb your sleep? Well, not anymore. Memory foam mattress restricts motion transfer (so you love your partner equally in the morning as well :P). Unlike most memory foam mattresses, this one does not have any toxic emissions. How do we know that? Because this is one of the very few memory foam mattresses in India to come with a Certi-PUR-US certification which makes it ideal even for your toddlers (because no one deserves a restful more than our cutie pies). Also, the presence of cooling regulates body temperature so you remain cool during the summers. Furthermore, the inner netted cover allows for good airflow throughout the mattress which keeps it smelling fresh and free from dust and mold. Lastly, the Smart Zipper Cover makes maintenance easy peasy. You can spot clean it or simply remove it chuck it into the washing for a deep clean. There isn’t much to fault about the mattress except that it is on the expensive side. If you have the budget and comfort is a priority for you, the Sleepy Cat Plus is the orthopedics choice of mattress for back pain. But even if you do not have back pain, the mattress still remains an ideal pick (after all, a good night’s sleep is something we all crave). 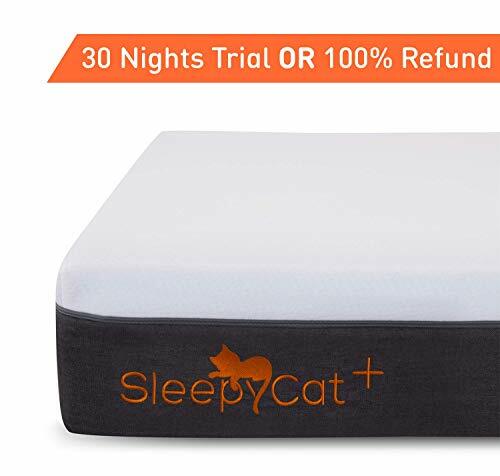 Very similar to the SleepyCat, SleepyHead Memory Foam is just the mattress the sleepy head you will need every night for blissful pain-free sleep. With memory foam and a high-density foam below it, the mattress has just the right amount of firmness to sleep in any direction (side, on the back or stomach, now sleep just the way you want to). Adding to the that is the perfect bounciness of the memory foam which sinks you in just enough so you do not feel the partner’s movement at night and vice versa. But at the same time, not so much that it feels like drowning into it. The additional Comfort Foam and Breathable Fabric on top don’t just add to the comfort but also the durability of the mattress by giving it a solid structure (a mattress for the long haul). The memory foam will also contour to the body’s shape which will help maintain a posture which is crucial to avoiding back pain or a sore neck in the morning. All the layers are well spaced to allow ventilation between them so you don’t end up with a smelly bed or worse, a mattress with mold. And keep the mattress safe from spills, there is the out cover which can be machine-washed so maintaining the mattress needs your minimal attention (the occasional wash or drying the mattress should do). Lastly, in case you still have your doubts, Sleepyhead gives you a 100-night trial period and if you still don’t like it, you can have your money back (a bold and trust-building move by the brand). On the downsides, it does not verify whether it has the Certi-PUR-US Certification and thus not safe for children as it may contain a slight trace of toxins (common with memory foam mattresses and nothing that will kill you though). But for adults especially couples, the Queen size of the SleepyHead is a great alternative pick as in most respects, it is just as good as the SleepyCat Mattress. What if I told you a can grab most benefits of a memory foam mattress for less than Rs. 10,000? Don’t believe me? Get ready for a surprise. Since it a memory foam mattress, we bet it is super comfortable especially for those with slight back or neck issues. Why? That is because it will give you a good sleeping posture by perfectly contouring around your body and thus alleviating the stress on the pressure points. With a foam base at the bottom, it has a medium-firmness that most doctors recommend to help heal backaches and neck pain. And the foam base also makes the mattress highly durability by giving it a sturdy base. So the mattress remains clean even with everyday use, there is a high-quality cotton cover. And in case you do spill your early morning bed tea on it, a quick machine wash is just what the cover needs. You want your bed to be smelling nice and fresh every time you get on it and that is why the mattress cells have gaps in between them that encourage good airflow. This also helps regulate temperature in summers, in turn, keeping you cooler than a spring or coir mattress would. One of the few drawbacks with this mattress is that it too does not have a Certi-PUR-US Certification so we cannot say if it is 100% toxin free (let’s not make the kiddos sleep on it). Also, while better than most other mattresses, movement of the bed isn’t as restricted as the previous picks which can be little disturbing especially if you are a light sleeper. Forget the cons, simply put, if your hands are tied because of a budget this by far the best mattress in India for comfortable sleep while keeping your back and neck protected from more excruciating pain. The WakeFit is a regular foam mattress that combines the best of both worlds by providing you medium firmness on one side and Medium Soft firmness on the other side (yup, you can use sides). Tip: Use the softer side in summers and the harder side in winters for the best possible sleeping temperature. 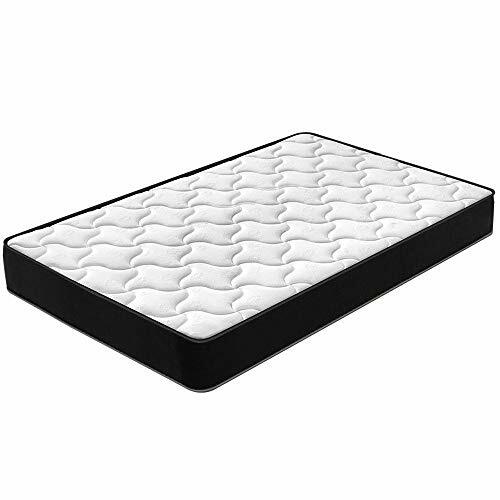 Also, there is no doubt about its exceptional durability and comfort it can offer compared to other foam mattresses which mainly comes down to the top-notch base foam which also provides the back with excellent support. Like the Wakefit Orthopaedic, it too has great ventilation due to the larger cells which keeps it mold-free and fresh. Plus, the Polyester cover means it won’t soak up water quickly and is very easy to clean and maintain. But Keep in mind, this mattress lacks the comfort of a memory foam mattress and thus there is more motion transfer which is sure to be disturbing. Also, it isn’t the ideal mattress for those with serious back pain. But all in all, it is a great pick for a fit person who isn’t sure what kind of firmness best suits them (simple, get them both). Its dual firmness and no toxins also make it a great mattress for children. Spring mattresses are the most common types of mattresses in India because they lightweight, cost-effective and also offer reasonably good comfort. So if a spring mattress is what you prefer, here is everything you need to know about the best one available. What helps Comforto stand out in the long line of spring mattresses is that motion transfer attribute of the mattress which it keeps to minimal. But how? That is done with individually pocketed spring. What atrocity is that now? In simple terms, all the springs are enclosed inside a fabric. This also helps with even distribution of the body weight for a night of pain-free sleep. The mattress is also suited for those who love a softer touch or children as it comes with medium soft firmness. With springs undergoing rigorous heat tempering technique and a supportive foam over the springs, you know the mattress has been tried and tested to last long. Lastly, to top it all off, there is the plush quilted cover which not only makes sleeping on it really comfortable but also gives it a smoother, neater feel. What we did not like about the mattress is that the quilted cover can get dirty quickly and is not the easiest to clean as it needs to be hand-washed. Also, its medium soft firmness means it cannot be used by people with back or neck pain. Quilted cover adds to the comfort and décor. Need a mattress for the guest room? This coir mattress is just what you have been looking for and is by far the cheapest on the list. One of the best things about a coir mattress is that it does not have any motion transfer. So a little side change etc. won’t disturb you or your guests anymore. Also, since the mattress comes with firmer base support, it is ideal for people who love to sleep on their stomach. And like I have already said above, it extremely cheap which makes a great choice for occasional use. Coir mattresses like this one use coconut coir which means it won’t last you for long if used regularly. Secondly, its firm base means if you have back pain, this mattress is a big no. Lastly, the firmness means it is also not suited for a side sleeper and can be really uncomfortable. Performance of any product works in the best way when you choose the product wisely. And for that, not just your priorities matter but also you need to consider a few things. So, to buy the right mattress, take some of these factors into consideration and make the correct choice. The first factor you need to consider is the size of the mattress. And most of them are available in 6 standard size- Full/double, King, Queen, Twin, Twin XL, and California King. Also, you can try some models that are available in additional sizes like Short Queen and Full XL. Not just this, but there are other sizes available like the king, split queen, and California sizes that include two separate mattresses and can be pushed together or separated. Another factor you need to consider before buying any mattress is the thickness or height of the mattress. Usually, most of the mattresses come with a height of 10-inches but it can also vary from less than 5-inches to more than 15-inches. Your preferred thickness of mattress may depend on your body weight. Usually, lighter individuals prefer shorter mattresses while heavier people are likely to go for thicker mattresses because of the comfort level it offers as they do not completely sink into it. Well, technically, the expected lifespan of a mattress mainly depends on the type of material used. Most mattresses, in general, will easily last you for 7 years considering you maintain them well (yup, even the cheaper ones) but let’s go a little deeper into it. Memory foam and foam mattresses have the longest life and thus should last you for 10-12 years or even more if cleaned and aired regularly. Next up are Latex and Air Bed mattresses which have a durability of 8-10 years and last in the pecking order are Coir mattresses which last for about 6-7 years. There are some mattresses available in the market that conform closely to the person’s body, in turn, perfectly aligning the spine and avoiding pressure points from developing whereas others offer little to no conforming. A mattress’s conforming ability is directly linked to its topmost layers and models with thicker top layers like in the case of memory foam or latex mattresses have the best conforming ability. Though keep in mind that these can cost significantly higher. Sleeper weight and sleep position are two main factors that determine the right firmness of your mattress. If you love to sleep on your side, softer mattresses are tailor-made for you whereas if you’re a back or stomach sleeper, go for firmer mattresses. And when it comes to weight, lighter individuals usually prefer softer mattresses as they are easily adaptable and provide relief to the pressure points in the body. On the other side, heavier individuals tend to choose firmer mattresses to avoid excessive sinkage. If you and your partners cannot agree upon whether to go for a firmer or softer mattress, you will be happy to know that there are mattresses the come with different firmness of each side as well (in marriage, that is how you settle issues 😉 ). If you’re planning to have an airbed mattress, let me tell you in advance that they have the highest noise potential as compared to any other mattress due to the electrical components and their adjustable air chambers. Also, innerspring and hybrids can also be a little noisy due to creaks and squeaks from their steel coils. So, if you want complete silence, foam and latex mattresses are the best choice. Now that you know what you need to look for in your mattress, it’s time to learn about the common types of mattresses available in the market. Also known as all-foam mattresses come with an amazingly comfortable system that features at least one layer of memory foam or polyfoam. And their support core is always made from high-density polyfoam. So, if you’re interested in buying this one make sure you always consider 3 important factors before buying- type of foam used, foam density, and indentation load deflection. And, foam mattresses are not going to leave your side for 7 years. They are available in a wide range and have a low average price-point. The mattress has good motion isolation. They are really adaptable and provide above average pain and pressure relief. This type of mattress has high odor potential. Are vulnerable to early indentations and sagging. They even have weak edge support. We all are familiar with a substance called latex extracted from the sap of rubber trees. You must have heard about it in your science books. This mattress features the same substance as one of its layers, which is mainly natural or synthetic. In fact, the support core is made of latex or maybe of high-density polyfoam. So, if want to have such kind of mattress, make sure you check its latex processing method and indentation load deflection. The average lifespan of this mattress is about 8.5 years. This mattress has longer than average lifespan. Have an impressive conforming ability and will provide some pain and pressure relief. This kind of mattress has good motion isolation and produces no noise. The mattress comes with a high average price point. They are bit heavy and difficult to move. With most innerspring mattresses you’ll find one or two layers of polyfoam in their comfort system. And talking about the support core, it has uniformly spaced steel coils and also a polyfoam base layer in most of the cases. Before you choose an innerspring mattress for yourself always consider few important factors like coil type, coil gauge, coil count, and pitch. The average lifespan of these mattresses is about 5.5 years. They are available in a wide range and have a low-average price point. These mattresses have strong edge support. Since they have better airflow in their support core, sleeps cooler. The lifespan of these mattresses is below average. They come with minimal conforming ability and pressure relief. If you really want to have this type of mattress, just see that it has a 2-inch memory foam/latex in its comfort system and a pocketed coil support core. If it is so, only then you’re buying a true hybrid mattress. Besides this, some of the other important factors you need to consider are- Density, gauge, coil count, and indentation load deflection. The average lifespan of a hybrid mattress is 6 years. The mattress has a closer conforming ability and provides more pressure and pain relief than the innerspring mattress. They have a better than average motion isolation. The mattress comes with strong edge support. Talking about the price, they have a high average price point. If the model comes with memory foam, you might face odor and heat retention issues. They have a shorter than average lifespan. If airbed mattress is your first choice, they’ll either come with a thin foam comfort layer or no comfort layer (there’s no in between). With the support core, you’ll get at least 2 separate air chambers. You can easily inflate or deflate them to adjust the firmness and support of your mattress. Again, before you buy one ensure that you’re taking these factors into considerations- customization range, trench, and controls. The average lifespan of these mattresses is 8 years. If maintained properly, they have a long lifespan. You can adjust the firmness and support according to your preference. They have a close conforming ability and will provide above-average pain and pressure relief. They are apt for all the sleep positions and sleeper body types. These mattresses have a high average price point and are not available easily. Are vulnerable to breakdowns and malfunctions. If it comes to repairing, you may need to pay a large amount. These were some of the best brands available in the country. You can check and compare them online to get the best one for you. Lastly, I would only say that before you try your hands on any of the mattresses, just make sure and IT IS REALLY IMPORTANT that you know why you’re buying or replacing a new mattress, evaluate your mattress’s performance, and check from where you’re buying or ordering the mattress.